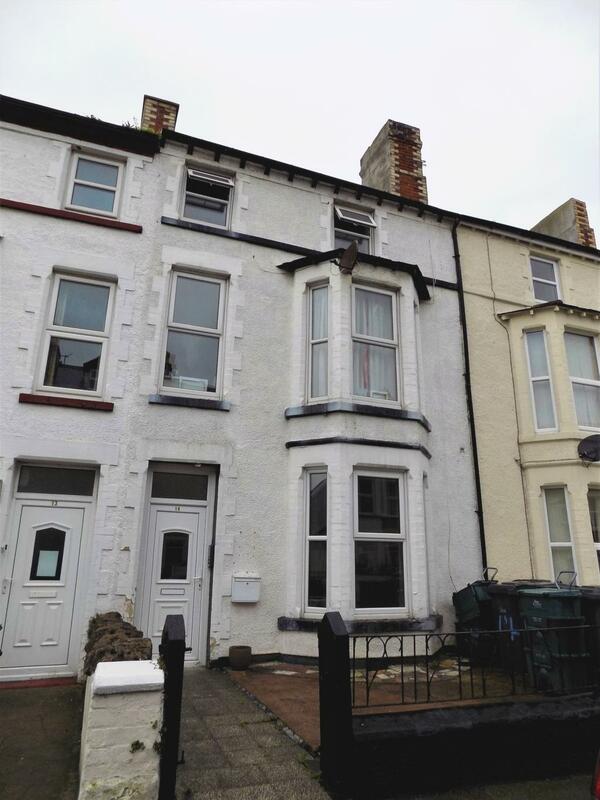 nu:move are excited to offer this fantastic opportunity to acquire a realistically priced mid terraced property consisting of 3 self-contained rental flats. The property is set over three floors and is in need of general modernisation, offering a wonderful opportunity for the right buyer to increase the current rental income substantially if modernised throughout. Each apartment benefits from communal gas central heating and double glazed windows. Conveniently located close to all the local amenities Llandudno has to offer including the Great Orme, The Victorian Pier, blue flag beaches with promenade, Venue Cymru Theatre, local leisure amenities also offer 18 hole links Golf Course, tennis courts, swimming pool, retail shopping park, bars and restaurants and coffee shops are also plentiful and all within walking distance. UPVC double glazed feature bay window to front aspect. Original feature ceiling coving, smoke detector/alarm, double central heating radiator, fitted carpet. UPVC double glazed window to rear aspect. Original recessed storage cupboard with shelving, double central heating radiator, fitted carpet, pendant ceiling light, television aerial point, smoke detector/alarm, fully fitted carpet. Storage cupboard: Housing electric meter and offering additional storage. UPVC double glazed window to rear aspect, fitted kitchen benefiting from a small number of base and wall units with roll top worktops, partially tilled splash backs, stainless steel sink incorporating hot and cold taps and drainer, recessed space for electric cooker, plumbing points for washing machine, space for fridge freezer, double central heating radiator, fluorescent ceiling strip lighting, fully fitted carpet. UPVC double glazed frosted glass panelled door leading to the rear. Shower Room: Wall mounted overhead electric 'Florida' shower, pedestal sink with hot & cold taps, low level W.C., partial wall tiling, tile effect flooring. Access door to rear of the property. UPVC double glazed feature bay window to front aspect, double central heating radiator, fitted carpet, pendant ceiling light, television aerial point, smoke detector/alarm, fully fitted carpet. UPVC double glazed window to front aspect, fitted kitchen benefiting from a small number of base and wall units with roll top worktops, partially tilled splash backs, stainless steel sink incorporating hot and cold taps and drainer, recessed space for electric cooker, plumbing points for washing machine, space for fridge freezer, double central heating radiator, fluorescent ceiling strip lighting, fully fitted carpet. UPVC double glazed window to rear aspect. Smoke detector/alarm, double central heating radiator, fitted carpet. En-suite with separate wall mounted overhead electric shower, low level w.c , pedestal sink with hot & cold taps. Three piece Bathroom suite comprising: -white panelled bath with overhead wall mounted electric 'Mira' shower, pedestal sink with hot & cold taps, low level W.C, partial wall tiling. UPVC double glazed window to rear aspect, double central heating radiator, fitted carpet, pendant ceiling light, television aerial point, smoke detector/alarm, fully fitted carpet. UPVC double glazed window to front aspect, fitted kitchen benefiting from a small number of base and wall units with roll top worktops, partially tilled splash backs, stainless steel sink incorporating hot and cold taps and drainer, recessed space for electric cooker, plumbing points for washing machine, space for fridge freezer, double central heating radiator, fluorescent ceiling strip lighting, cushion flooring. UPVC double glazed window to front aspect. Smoke detector/alarm, double central heating radiator, fitted carpet. To the rear of the property there is a small courtyard. Services: - Please note the 3 flats have communal gas central heating systems. The property is HMO licenced until 2020.